Find out what your house is worth – Free . Request a free no-obligation house price analysis (broker price opinion) to find out what your house is worth. You will get an in-depth analysis of your house value, similar to an appraisal, from a local real estate agent or broker who is a home pricing expert. Your free report is not an automated report from a computer program which is typically inaccurate and doesn’t take into account things such as upgrades, level of maintenance, neighborhood conditions etc. – things which have a significant impact on value. A Certified Real Estate Pricing Specialist, C-REPS is a local real estate agent or broker who is a house pricing expert and will do a thorough analysis of everything which can affect how much a house is worth. Request a free House Price Report from a Certified Real Estate Pricing Specialist, C-REPS today. 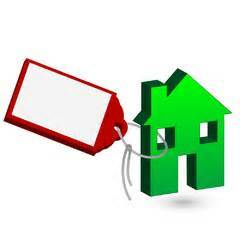 There is no obligation to request a Free House Price Report. C-REPS are happy to provide you with this information. Find out what your house is worth today. If you are thinking about selling yo ur house or buying a house, using a C-REPS is the best way to ensure you get the best possible deal. Ask your favorite Real Estate agent or broker if they are a C-REPS or if you are looking for an agent or broker, please feel free to search for a C-REPS in your area to serve you.